Opening October 31, 1962, Yves Klein, Arman, Daniel Spoerri, Christo and Mimmo Rotella. The show was seen by Martial Raysse, Niki de Saint-Phalle and Jean Tinguely, then in New York, who were stunned by the size and the look of the American work. Also shown were Marisol, Mario Schifano, Enrico Baj and Öyvind Fahlström. Janis lost some of his abstract expressionist artists, as Mark Rothko, Robert Motherwell, Adolph Gottlieb and Philip Guston quit the gallery but gained Dine, Oldenburg, Segal and Wesselmann. Later that evening, October 31, 1962, at an opening-night soiree thrown by the wealthy collector Burton Tremaine, Warhol, Lichtenstein, Wesselmann, Rosenquist, and Indiana were all being served drinks by uniformed maids when de Kooning appeared in the doorway and was swiftly turned away by Tremaine, who ironically owned a number of de Koonings works. Rosenquist recalled that "at that moment I thought, something in the art world has definitely changed". Turning away Willem de Kooning, a respected abstract artist, proved that as early as 1962, the pop art movement began to dominate art culture in New York. ^ a b Barton, Christina (2010). Billy Apple: British and American Works 1960-69. London: The Mayor Gallery. pp. 11–21. In Roger Raveel mounted a birdcage with a real live pigeon in one of his paintings. 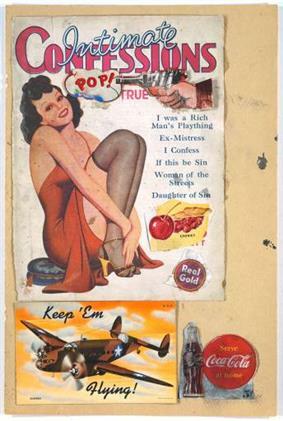 At the end of the sixties and early seventies Pop Art references disappear from the work of these artists as they adopt a more critical attitude towards America because of the Vietnam War's increasingly gruesome character. 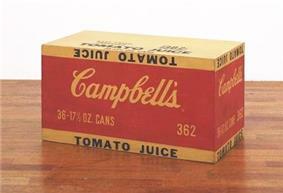 Panamarenko, however, has to this day retained the irony inherent in the Pop Art movement. In Italy, Pop Art was known from 1964, and took place in different forms, such as the "Scuola di Piazza del Popolo" in Rome, with artists such as Mario Schifano, Franco Angeli, Giosetta Fioroni, Tano Festa and also some artworks by Piero Manzoni, Lucio Del Pezzo and Mimmo Rotella. 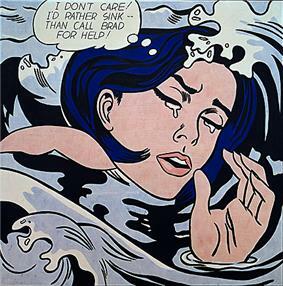 In Japan, Pop Art would evolve from the nations prominent avant-garde scene. The work of Yayoi Kusama contributed to the development of pop art itself and influenced many other artists, including Andy Warhol. 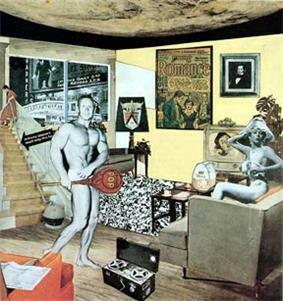 In the mid-1960s graphic designer Tadanori Yokoo would become one of the most successful pop artists and an international symbol for Japanese pop art. He is well known for his advertisements and creating artwork for pop culture itself, such as commissions from The Beatles, Marilyn Monroe, Elizabeth Taylor amongst many others. Another leading pop artist at the time was Keiichi Tanaami. Iconic characters from Japanese manga and anime have also become symbols for pop art such as Speed Racer and Astro Boy. Japanese manga and anime would also influence future pop artists such as Takashi Murakami and his superflat movement.